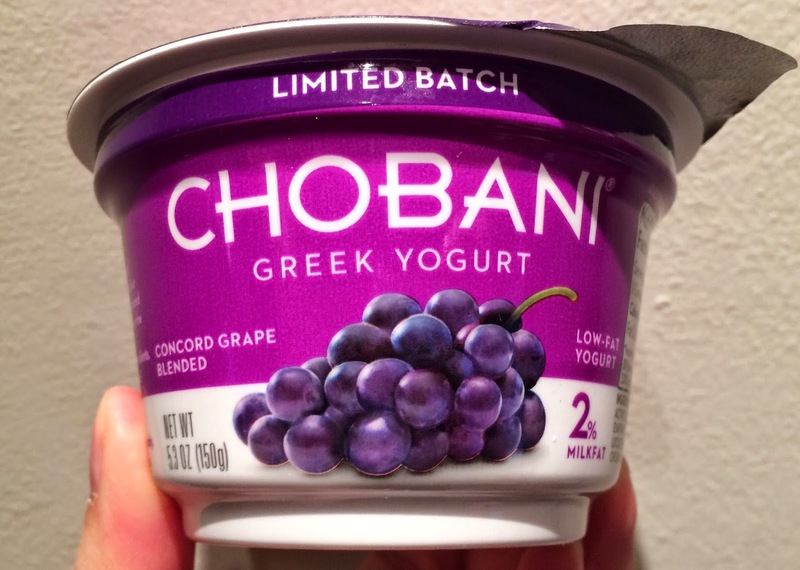 I found this limited batch Chobani Greek Yogurt Concord Grape Blended with Green Tea Blended. Concord is a type of grapes from the states and used as table grapes, wine and juice. 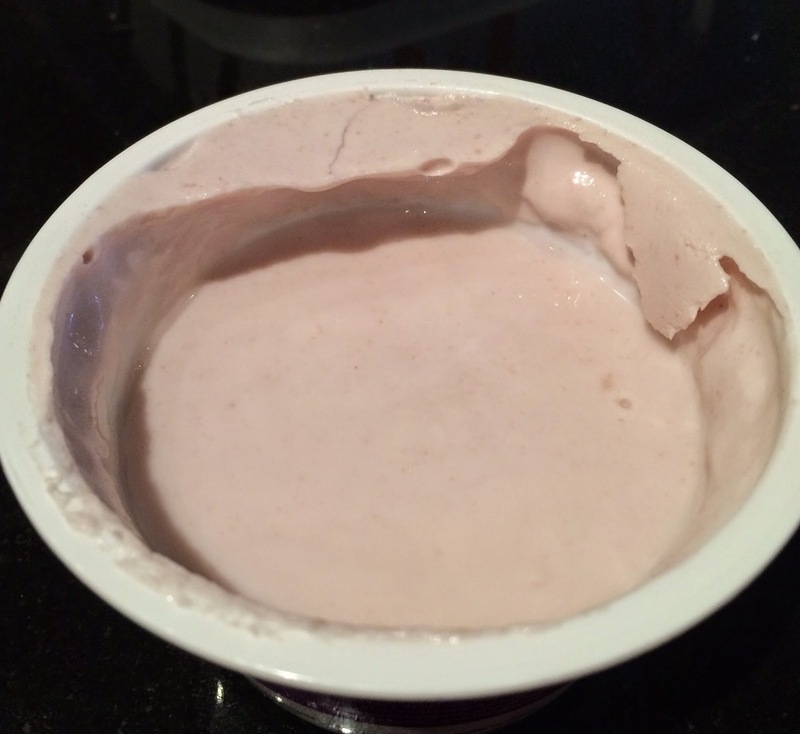 The lid and cup were dark and bright purple with images of fresh Concord grape, and it's a 2% fat yogurt. 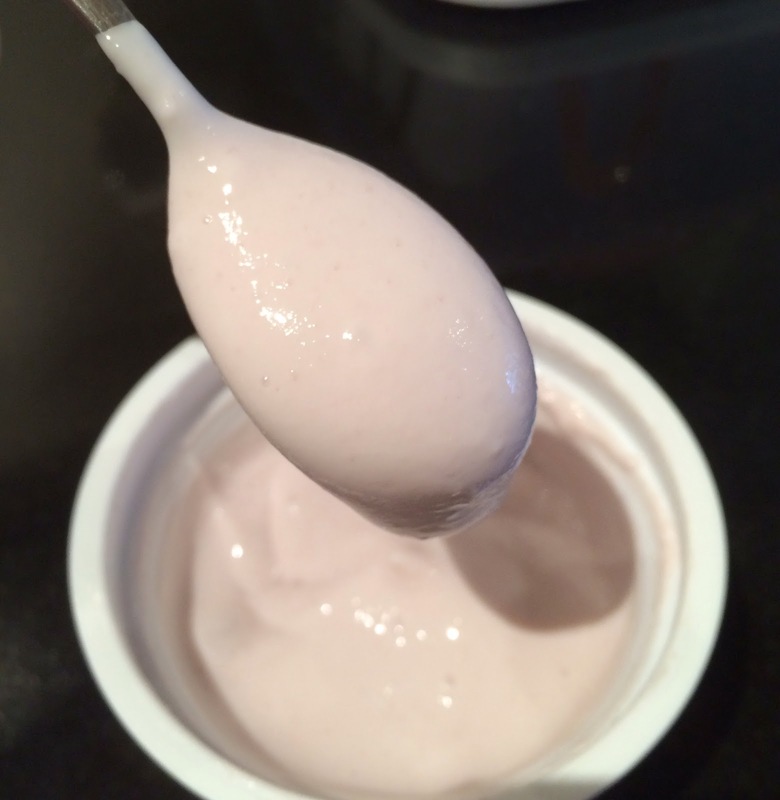 When I opened the lid, I saw really pale purple yogurt and it only had a subtle grape scent. By looking at the exterior, I thought the content would had similar vivid purple color but it's like smudged beige. I mixed the yogurt and thought this one is very runny and watery to compare with Green Tea Blended and other Fruit On The Bottom series. 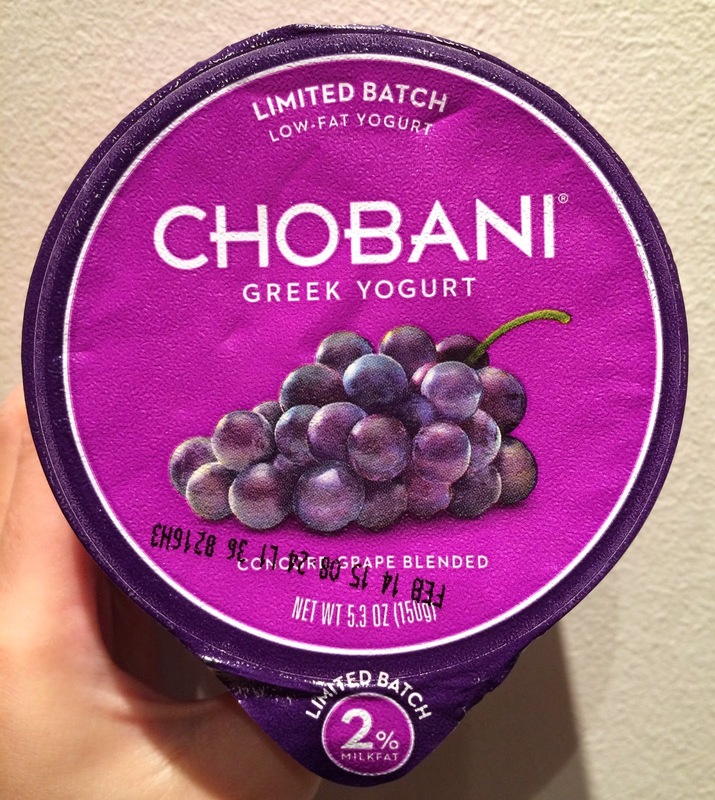 It had noticeable grape flavor and it was so light that I could still taste sour Greek yogurt without the thick and creamy texture but light and smooth. The consistency was the lightest among Chobani yogurt I've had so far.